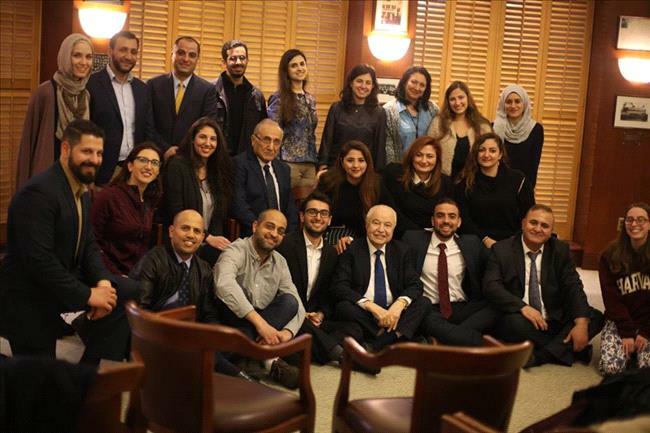 AMMONNEWS - In recognition of his prominent social status and notable role in the fields of science and knowledge, Boston-based Harvard University hosted His Excellency Dr. Talal Abu-Ghazaleh to deliver a keynote speech at its Kennedy School to an audience comprising Arab students studying at the university. His remarks focused on the future of knowledge, methods for creating learning societies and knowledge economies in the Arab world and the potential contribution and role of Harvard's Arab students towards this goal. In his speech, Abu-Ghazaleh introduced himself as an avid knowledge advocate. He stressed that his dream has always been to help his fellow Arabs and enable Arab countries to transform into knowledge societies and creative nations as the sole solution to their problems and the only way to build a prosperous future through which they can regain their role as history makers. He also pointed out that the Arab world is bracing for an era of renaissance, stressing that such a goal can only be achieved through effectively tapping potentials and resources. This would enable the Arab people to rebuild their countries after the devastation that struck during the years of the so-called 'Arab Spring', dubbed by Abu-Ghazaleh as "Arab destruction". In this regard, he called for devising and implementing a "Marshall Plan of Knowledge for the Arab World," modeled after the economic project announced by former US secretary of state, George Marshall, for the reconstruction of Europe after WWII, announced during a speech the secretary of state delivered at Harvard University. Abu-Ghazaleh pointed out his ambitious project to create a specialized university for inventors, with the graduation requirement being the creation of a practicable invention by each student. Additionally, students would receive a scholarship through Talal Abu-Ghazaleh Organization (TAG-Org) which will refund the tuition fees paid by the students, and pledge to sponsor the invention in terms of registration, promotion, production and intellectual property protection. 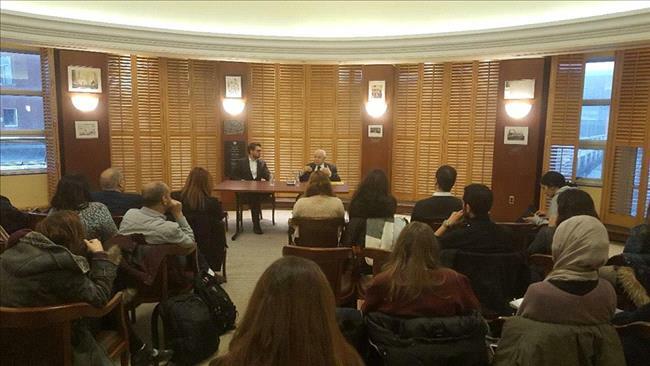 Abu-Ghazaleh told Arab students at Harvard that he was looking forward to launching a global prize for knowledge targeting Arab countries as a means to support creative individuals, in cooperation with the world's leading educational institutions. Speaking about his contribution to knowledge development in Jordan, Abu-Ghazaleh underlined a total of 300 knowledge stations set up in different areas of the Kingdom to provide knowledge tools, especially computers, Internet and software, for the service of local communities. He stressed that his group is working on establishing similar knowledge stations in other Arab countries. In response to students' questions, Abu-Ghazaleh highlighted his vision of moving forward to build a knowledge-based Arab world through knowledge enhancement and the creativity of the Arab people. In their comments, students in attendance voiced pride at having a pioneer of Arab knowledge such as Dr. Abu-Ghazaleh amongst them, and expressed their motivation and aspiration to emulate his success story, which extends over 80 years of work, dedication and serving communities. They emphasized that since its inception in 1972, Tag-Org has gained an excellent reputation in the Arab world and globally, evolving into the largest Arab group of professional services with a cross-continental network of more than 100 offices and branches. 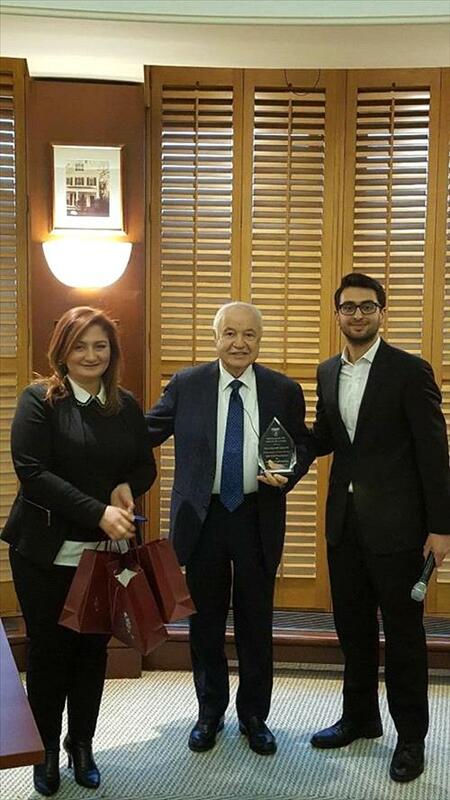 Dr. Abu-Ghazaleh was presented with a plaque from Harvard Arab Students Association (HASA) in recognition for his efforts in the fields of science, knowledge and culture, and for helping to build capacities and tapping potential of young people in the Arab world.